Thought Into Action recently welcomed Wiley Cerilli to campus to share his experience with entrepreneurship. 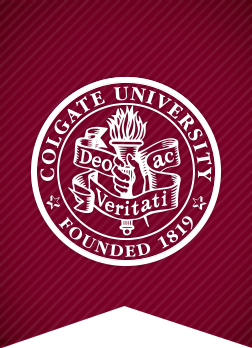 Known best by Colgate students for founding Good Uncle, a popular campus food delivery service, Wiley has been involved in the business of food startups for years and had plenty of advice to give current and future entrepreneurs. 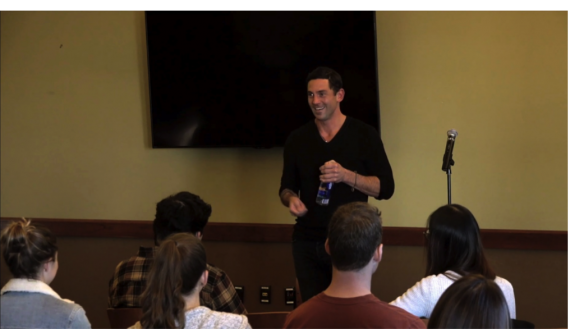 Students who attended Wiley’s talk got a firsthand look into his life, both personal and professional, and they learned more about how he got involved with food startups. He explained that he first entered the world of startups to help support his family; since he dropped out of college, entrepreneurship was a practical way to make good money at a young age. He was sure to point out that, while dropping out of college seems to be the “cool” thing to do these days, that isn’t exactly the case. He then explained the trajectory of his career, connecting the dots from his humble beginnings to his success with Good Uncle. Students really appreciated his honesty and candidness in telling his story. Wiley also gave students plenty of good advice, business-related and otherwise. In terms of startup advice, he told students to pursue ventures that give them energy. He told the crowd that he isn’t necessarily passionate about food, rather he thinks that the problems in the food industry are exciting and solving them gives him energy. He also pointed out that in the world of entrepreneurship, it is crucial to seek constructive criticism and to learn from mistakes. He explained the various mistakes he and his coworkers made throughout his career and how they were able to correct and learn from them. Beyond business, Wiley advised students to establish a lifestyle “board of directors” full of trustworthy people to turn to for advice. He cited his personal board of directors as crucial to his success (and sanity). He also stressed the importance of accepting the “no’s” in life, as he saw just as much struggle as he did success. After the talk, a group of students were able to have dinner with Wiley and continue the conversation. He talked about his volunteer work with Experience Camps, summer camps for kids who have lost close family members or caregivers. He explained how rewarding it is to be involved in giving back to his community, telling the heartwarming story of the “Wiley” beaded necklace around his neck. Each bead represents a year spent at camp, and each attendee wears a necklace. Wiley said wearing the necklace is a great way to remind himself of the importance of giving back, and it often sparks conversation about the camp when people ask why he wears it.